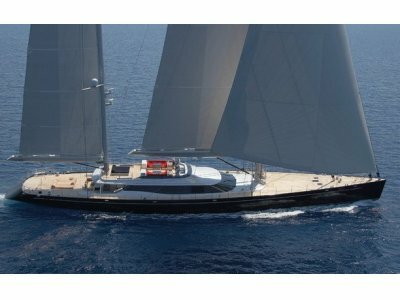 Vitters Shipyard launched sailing yacht NIRVANA in 2007. The yacht was built country of the Netherlands. NIRVANA had design completed by Dubois Naval Architects & Gca Arquitectes and Dubois Naval Architects & Gca Arquitectes. This superyacht NIRVANA can sleep overnight a maximum of 10 aboard and 9 professional crew. Launched in the year of 2007 her interior decoration reflects the perspicacity of the design work of Gca Arquitectes / Josep Juanpere Miret. 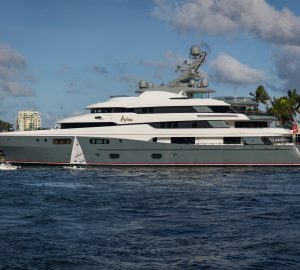 Dubois Naval Architects & Gca Arquitectes was the naval architect involved in the professional superyacht composition for NIRVANA. Also the company Dubois Naval Architects & Gca Arquitectes expertly collaborated on this project. Interior designer Gca Arquitectes / Josep Juanpere Miret was commissioned for the creative interior styling. Built at Vitters Shipyard Bv this yacht was built within the Netherlands. She was successfully launched in Zwartsluis in 2007 before being delivered to the owner. The hull was crafted from aluminium. The sailing yacht main superstructure is made for the most part using aluminium. With a width of 11.51 metres / 37.76 ft NIRVANA has spacious interior. She has a fairly shallow draught of 10m (32.81ft). The C18 DITA engine powering the yacht is built by CATERPILLAR. NIRVANA is propelled by twin screw propellers (korser 4 blades). The engine of the yacht creates 714 horse power (or 532 kilowatts). She is fitted with 2 engines. The sum output for the yacht is 1428 HP or 1064 KW. The bow thrusters are Hydromar. With bedding for a maximum of 10 visiting passengers overnighting, the NIRVANA accommodates them in luxury. Under normal conditions she uses circa 9 capable crewmembers to operate. 53.48 metres / 175.46 feet. The yacht was installed with Heinen & Hopman or Marine Air air conditioning system. Her deck material is predominantly a teak deck.